At Sabre Rigs Ltd. we have a wide range of Solar Thermal Service Tools and accessories that will make your job a whole lot easier. Enables exact determination of propylene- and ethylene-glycol in the heat transfer fluid of the solar system with an additional scale for battery acid. 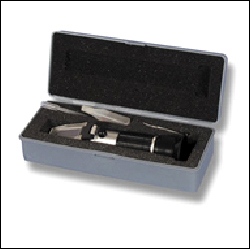 A handheld refractometer supplied in a grey, foam-lined hard plastic case and includes the following accessories: distilled water sample, pipette, soft cleaning cloth, adjustment screwdriver, leather carrying pouch and operation manual. 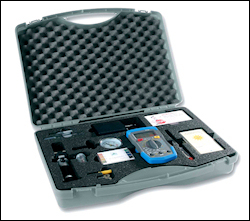 Its moulded eyepiece provides quick and comfortable reading of the displayed scale. 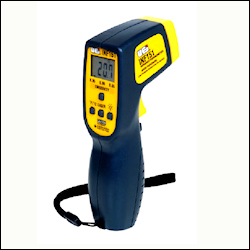 *This instrument is designed with Automatic Temperature Compensation ("ATC") which allows for ambient shifts in outdoor temperatures, while still yielding accurate results. A professional tool kit comprising refractometer, multimeter with resistance, voltage and temperature ranges, compass, pressure gauge, PH test strips and tested/warning labels. 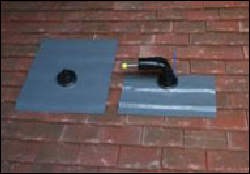 This Solar Thermal Kit is useful in helping to comply with MCS requirements. 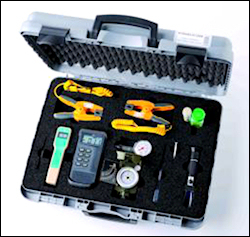 This test kit provides the professional Solar Engineer with a complete collection of high quality instruments which can be used for site surveys, new system commissioning and system fluid maintenance checks. The instruments sit within pre-formed cut-outs in foam plastic to offer protection during transit and use. 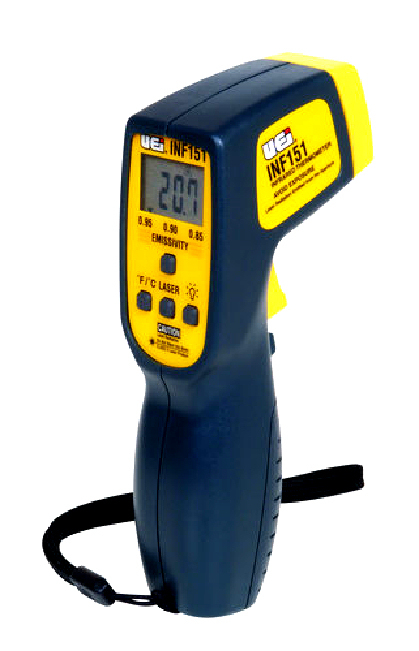 Ideal for fast & accurate thermal analysis on a solar system. 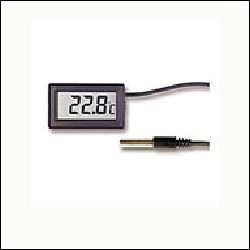 Infra-red thermometers provide instant surface temperature readings. This model is simple to use - just squeeze	the trigger and aim using the laser dot. Laser targeting increases speed, accuracy and safety during maintenance and troubleshooting tasks. The SBS 2000 includes several design features to facilitate transport, operation and cleaning of the system. The large, smooth-running wheels and the ergonomic handlebar make it easy to manoeuvre the station - even when it is full. The robust 30-litre tank is semi-transparent, enables a quick visual check of the fill level. 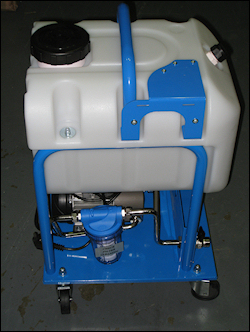 The SBS 2000 can be used with water, water-glycol mixtures and cleaning fluids. 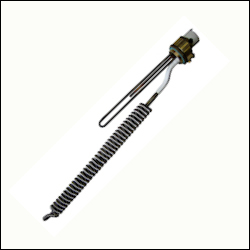 (It is also suitable for filling and flushing of conventional heating Systems). A manual pump suitable for system top up. Output: 2 litres/min. 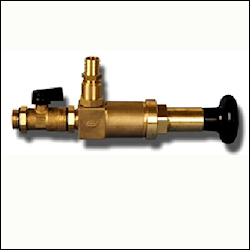 Filling & Injection Pump with non-return valve for pressure increase & refilling of heat transfer fluids. 1/2" O T Self-Sealing with O Ring, 15mm tube connection. The Solarfill 2 makes cleaning, draining, venting and filling of pipe systems much easier – in most cases requiring just a single operation. It’s also no longer necessary to work on the roof adjacent to the solar array, and solar air vents on the roof can be omitted from the system design. System debris can be flushed out through the inbuilt strainer. A high temperature plastic container for solar thermal systems. 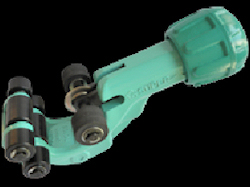 Specifically designed to be connected to PRV, allowing safe collection of hot expelled solar fluid. (C/w drain tap). 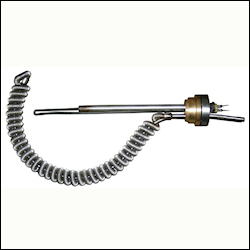 Short term discharge 160° C.
Accessories: ALS15 Discharge Hose c/w clip. (Robust and heat resistant) It fits all common ¾" safety valve outlets - Simply cut to required length. Note: As a requirement of MCS, suitable products it is no longer acceptable to use an empty plastic bottle stood on the floor. Top Entry /Vertical Mounting (SP300) - Extendible to fit a range of cylinder depths. The practical retrofit option - compatible with all solar thermal panels. 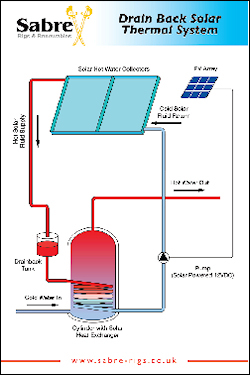 It is designed to be retrofitted through the immersion port of an existing hot water cylinder (Vented or unvented) to provide an additional heat exchanger for the connection of solar panels. It is secured to the cylinder using the existing immersion heater boss. Both versions supplied complete with immersion element. A SolaPlug installation is MCS compliant, RHI and Grant Eligible. Designed specifically for cutting flexible stainless steel pipe DN12-DN20. 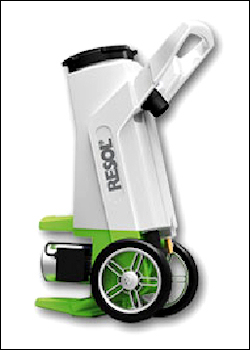 Incorporates 8 rollers (two with soft grip) and a cutting wheel spindle to provide accuracy and a clean cut i.e. no ragged edges. 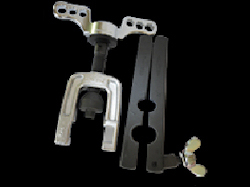 This tool eliminates the need for clips and creates a clean flat seal, saving valuable installation time. Ratchet action for both clockwise and anti-clockwise operation. 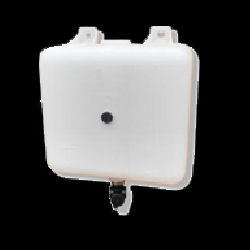 This kit ensures a water and weather tight seal for pipe work and sensor cables between the solar array and the system. Suitable for all common roof materials e.g. tile, slate and metal. We have designed a number of useful Schematic Wall Charts to be used as training aids - presented on High quality washable Foamex board.